Ready to start planning today? View and download your FREE copy of How to Donate Appreciated Property to Charity: Learn the Most Tax-Efficient Strategies. A stock portfolio is often among the most valuable assets you own—and one that can carry substantial capital gain, or appreciation in value. If you sell appreciated securities, you will pay capital gains taxes—at a rate that could be as high as 20 percent. 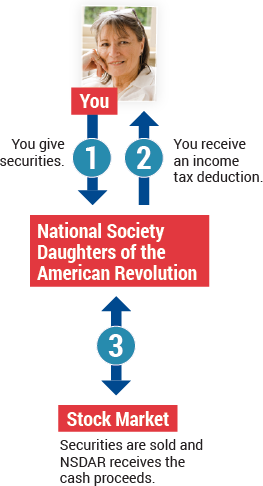 By donating appreciated securities you have owned for more than one year to National Society Daughters of the American Revolution, you will be exempt from paying capital gains taxes and experience other tax benefits. NSDAR has established an account to receive gifts of securities, such as stocks, bonds and mutual funds. 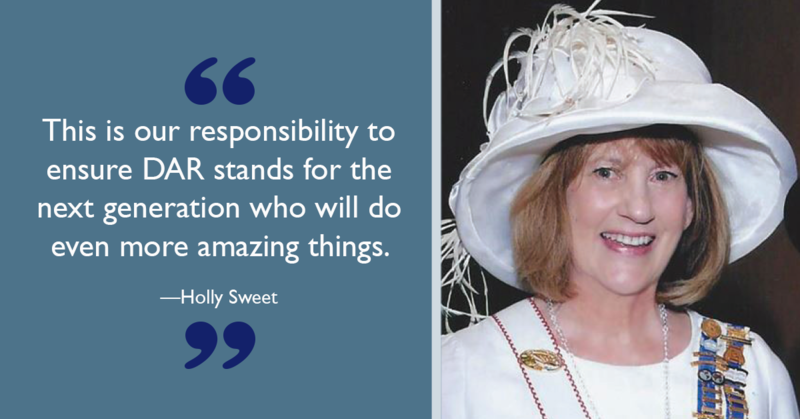 When a member or friend of NSDAR wishes to make a gift of this type, the first step is to notify the Office of Development of the intent to make the gift along with the purpose of the gift. Donations may be restricted for use in a particular program, may be added to a permanent endowment or may be provided for the National Society's general use. You will be exempt from paying capital gains taxes on any increase in value—taxes you would pay if you had otherwise sold the securities. You are entitled to a federal income tax deduction when you itemize based on the current fair market value of the securities, regardless of their original cost. Contact the Office of Development at (800) 449-1776 or giftplanning@dar.org with any questions about donating appreciated securities to NSDAR. We are happy to help, without obligation.